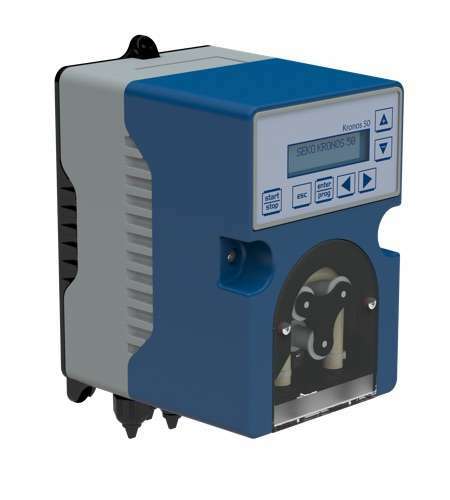 The Pool Kronos range of peristaltic pumps forms part of SEKO's principal offering for the residential pool market. PoolKronos 10 is a peristaltic dosing system using built in controllers for pH/ORP measurement designed specifically for Swimming Pool applications and offers flexibility of installation, user-friendliness in programming and a constant chemical dosing by pH or ORP analysis. PoolKronos 20 builds on the PoolKronos 10 and has an improved LCD display for ease of reading measurements. PoolKronos 50 has the broadest range of measurement of the PoolKronos range coming also with a bigger 16 letter LCD display.